This was Jim Johannson’s team. And to Granato, it still is even after the unexpected death of the U.S. general manager. “From start to finish it will be and always will be,” Granato said of Johannson, a close friend. 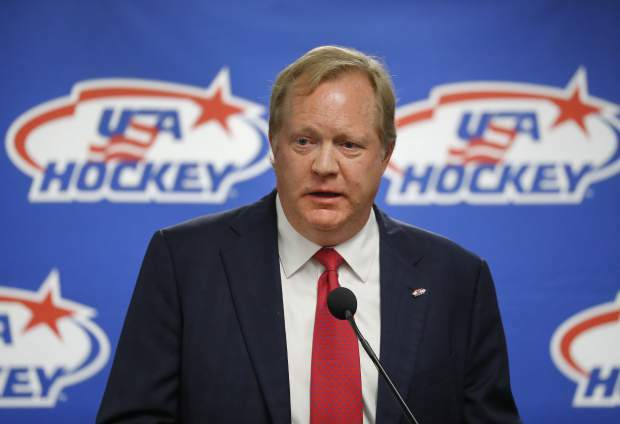 Johannson selected the coaching staff and 25-man roster for the first U.S. Olympic men’s hockey team that will play without NHL participants since 1994. That included hand-picking Granato, a teammate on the 1988 Olympic team who’s now coaching at Wisconsin. Granato plans to make his team’s first meeting in South Korea about Johannson and ways to honor him. The tournament begins Feb. 14. Johannson, who was in the midst of his most high-profile role in 17 years at USA Hockey, called players in December to tell them they’d made the team, a joy he gushed about to Granato and others. He died at age 53 on Jan. 21, less than three weeks after the roster was announced. Granato said players are healthy, though if any injury replacements need to be made, Smith will be in charge. Smith was an assistant on the 1988 Olympic team and coached the U.S. women’s teams in 1998, 2002 and 2006 and had a hand in the selection of this roster. Granato expects to use Johannson’s phrase “100 percent” and other things to remember him at the Olympics. Players who have known him from previous world juniors, world championships and this selection process hope to make good on his trust in them.